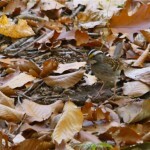 It was a beautiful month in Glen Providence Park, with fall foliage that just kept going! There was a definite seasonal change in the wildlife– with the turtles, snakes and frogs in hibernation, and few insects left. 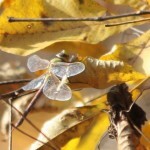 So I was surprised to see this luminous dragonfly– the photo does not do it justice! There are so many birds to document- with 37 species spotted just this month! 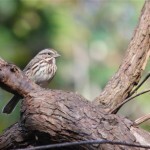 We’ll have plenty to tally for the Christmas Bird Count and our 2012 Birding Big Year. 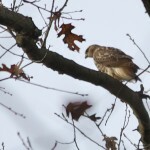 We admired woodpeckers, hawks, sparrows and more! We began to see more of our state mammal, the White-tailed Deer. 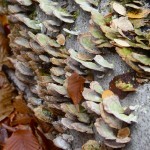 And we enjoyed the lingering fall color of the park’s plants: towering trees, shrubs… right down to the fungi! Click on any photo for a closer look, or scroll through the photos for a virtual tour. And remember there is more information in the photo albums on facebook! 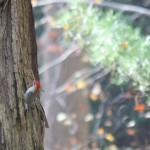 Red-bellied Woodpecker – I was amazed at how often I saw these striking birds in the park. 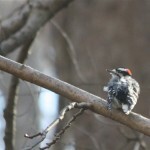 Downy Woodpecker – this young & fluffy woodpecker seemed out of place in late November, but so cute! 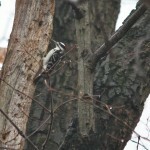 Hairy Woodpecker in Chestnut Oak – in the rain! They’re like a larger version of the Downy Woodpecker. 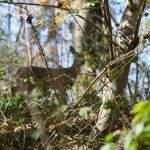 phantom White-tailed Deer – first time I caught one on film. I’ll just have to be patient! 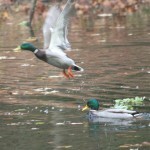 male Mallards – chasing each other around! 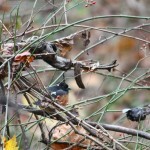 Eastern Towhee -towhees scratch through dead leaves in dense brush, which can make them hard to see! Their song sounds like “drink your teeeee”. 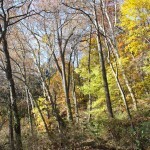 American Sycamores & wetlands – the line of trees across the back are Sycamores. The wetlands are fed by natural springs on the hillside near 3rd Street- the wetlands are marked on an 1855 map, 30 years before the dam was built! 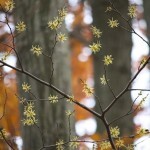 American Witch-hazel – this native plant flowers from September to December! 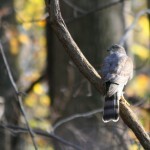 There are many near Broomall’s Run by the dam. 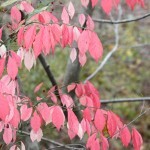 Euonymus alatus, aka Winged Euonymus or Burning Bush – it’s invasive, and actually prohibited in Massachusetts!